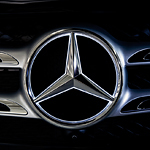 At Mercedes-Benz of Tacoma, we want the process of getting a used car to be a pleasant experience for you. We’d like to introduce you to the Mercedes-Benz Certified Pre-Owned Program, which is a great way to buy a great used car and know you’re getting a reliable one. Pay us a visit and allow us to get you started. When you buy a car through the Mercedes-Benz CPO program, you’re getting a car that’s less than six years old with less than 75,000 miles. The car is totally reconditioned and must pass a 165-point inspection. You’ll also get a clean title, positive Carfax report, spare keys, owner’s manual and a warranty. Don’t waste another minute browsing from car lot to car lot looking for a used car. Come to our dealership and take one out for a test drive. We also have attractive financing options for qualified buyers.